Traditional Astrologer = Fortuneteller - You got a problem with that? One of the factors that has influenced modern astrology is the prejudice against predicting the future, often expressed as "fortunetelling". This prejudice is so strong that predicting the future is often illegal, for example in New York. NY Penal Law 165.35 – Fortune telling, states "a person is guilty of fortune telling when, for a fee or compensation which he directly or indirectly solicits or receives, he claims or pretends to tell fortunes, or holds himself out as being able, by claimed or pretended use of occult powers, to answer questions or give advice on personal matters or to exorcise, influence or affect evil spirits or curses; except that this section does not apply to a person who engages in the aforedescribed conduct as part of a show or exhibition solely for the purpose of entertainment or amusement." So it is fine to predict the future if you admit that you are fake, but if you actually believe in it or don't admit that you are fake, then it is a criminal offense in New York. This is the standard post-Enlightenment approach, as we can see from Blackstone's Commentaries on the Laws of England Bk IV, ch. 4, published in 1765-9, summarizing 18th century English common law which characterized astrology and magic as inherently fraudulent. "If the citizens of Lincoln wish to have their fortunes told, or to believe in palm-reading or phrenology, they are free to do so under our system of government, and to patronize establishments or "professionals" who purport to be versed in such arts. Government is not free to declare certain beliefs--for example, that someone can see into the future--forbidden. Citizens are at liberty to believe that the earth is flat, that magic is real, and that some people are prophets." Still, the underlying materialist view that it is impossible to predict the future through spiritual means still has force. Modern astrologers have definitely had to deal with anti-fortunetelling prejudice and the possibility of arrest or other governmental action. Evangeline Adams is an excellent example, repeatedly prosecuted in NY for fortunetelling. Check out the Wikipedia article What I find most interesting about this article is that Adams was able to get herself acquitted by the judge in her case by accurately delineating the character of the judge's son, but that she wasn't that accurate at predicting the stock market. Exactly what we would expect from modern astrology which is excellent at natal psychological readings, but not good for prediction! There are many reasons that modern astrologers reject the label of "fortuneteller" As noted, modern natal astrology is excellent for psychological delineation, not so good for prediction, in part because the methodology is so relentlessly upbeat, while reality itself ranges all the way from very good to very bad with all the nuances in between. Traditional astrology with its extensive essential and accidental dignities and debilities is much more suited to expressing both negative, indifferent and positive outcomes than modern. So there is some wisdom in modern astrologers refusing to predict. Where they can go off the rails is insisting that because they can't predict that no one can. But a key underlying reason that modern astrologers refuse to accept prediction is that they, like moderns in general, believe strongly in Free Will and often disbelieve or are even actively hostile to Fate. Much of the underlying belief system of moderns, like the adherence to democracy and civil and human rights, is based on the preeminent importance of individual liberty. To the individual ego-self Fate appears as an almost evil force, impeding the desires of the individual. 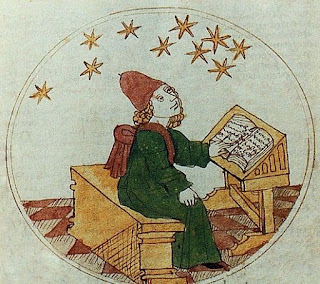 Instead modern astrology is presented as preserving Free Will, of not making predictions because prediction is either impossible or violative of individual freedom. The modern astrological view exists in very stark contrasts to that of all other schools of astrology, whether Hellenistic, traditional or Vedic, all of which saw themselves as expositors of Fate, capable of making accurate predictions because Fate did indeed exist. Nevertheless, traditional astrologers appear to have had a nuanced view and did not insist that Fate along determined all events, rather that Fate and Free Will both existed simultaneously. Nevertheless, determinism played a major role in reality. The astrological proof of the existence of Fate is a practical one: traditional astrology makes accurate predictions. Without some form of determinism and Fate, accurate prediction is impossible. This applies to modern astrology as well. I once caused a major ruckus in an online modern astrology school over this very issue. I was teaching the sole traditional astrology course in the curriculum and I asked the students what their views on Fate were. They said that there was no Fate, just possibilities. I said, "well think about this. I have Mars opposed to Mercury in my natal chart. This can express itself positively as being good at debate, and negatively as making verbal attacks, but I will never be a passive wallflower. Isn't this a form of Fate?" One student got so upset that she denounced me to the head of the school! Modern astrology can make very accurate assessments of people's personalities from their natal charts, only because their personalities are, to a great degree, determined. Change is certainly possible, but change generally takes place within predictable limits, again determined by the birth chart. The label "fortuneteller" has taken on a strong pejorative sense, from the attitudes of materialists who reject the existence of the spiritual and from modern astrologers who reject Fate. It is not surprising that even traditional astrologers are reluctant to embrace it. But, in point of fact, telling fortunes is simply predicting the future and predicting the future has been for 2000 years the very purpose of astrology.